Is Your Horse Game for a Game? Does your horse have a sense of humor? Does your horse appear to be bored with the “same old, same old”? Then you may want to try trick training, and a great book to walk you through it is Trick Training for Horses by Bea Borelle with Gudrun Braun. It’s offered on HorseBooksEtc. for $22.95. Trick Training for Horses is a slim book, so it’s not overwhelming, but there’s a color photo to go along with each one of its 152 pages that clearly illustrates how you’re supposed to teach your horse its “trick” lessons. It’s also written by someone who clearly loves horses and has a way with them. Even through the pages of the book, Bea Borelle’s fun-loving spirit shines through. After reading through several of the exercises, I’m inspired to see if my horse wants to play. And while Bea clearly advocates using food as treats, she also emphasizes feeding discipline. 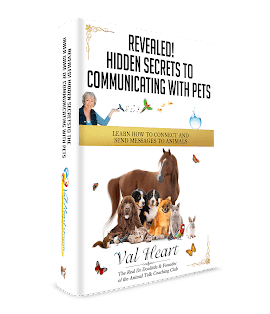 This book would be especially useful for someone who is trying to build a closer bond with their horse, as an alternative to just working all the time – especially if you’re starting to get the idea that your horse isn’t always glad to see you.